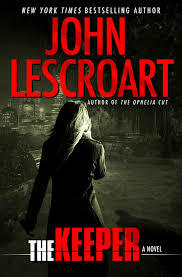 I like Lescroart, but crime and corruption in the cop-shop is getting a tad old no matter whose pen it comes from. The frame story here is interesting, Katie Chase, a young mother and homemaker and the wife of a prison guard, goes missing one night. There are no real clues but lots of guesses and the husband/officer, Hal Chase, goes straight to Hardy for with the legal stuff because he knows he’s become a “person of interest.” Katie may be just missing, or she may be dead. Then her body is found but it solves nothing because the case against Chase is stacking up, a girlfriend, insurance money. He has the means, motive and opportunity. Meanwhile there have been way too many deaths in the county jail and it’s become political all the way up the sheriff. Hal Chase was a guard there – was he involved, what does he know, who did he tell, etc. And then there are more murders. Of interest to Dismas Hardy followers, Abe Glitsky comes out of retirement to help Hardy with the investigations – Abe is a great character.